News & Trends> Product Trends > Industrial machines and equipment > Alexanderwerk > The Alexanderwerk PP 150 C : the highest requirements and standards of the chemical industry. The Alexanderwerk PP 150 C : the highest requirements and standards of the chemical industry. The Alexanderwerk PP 150 C is especially designed as a machine which meets the highest requirements and standards of the chemical industry. 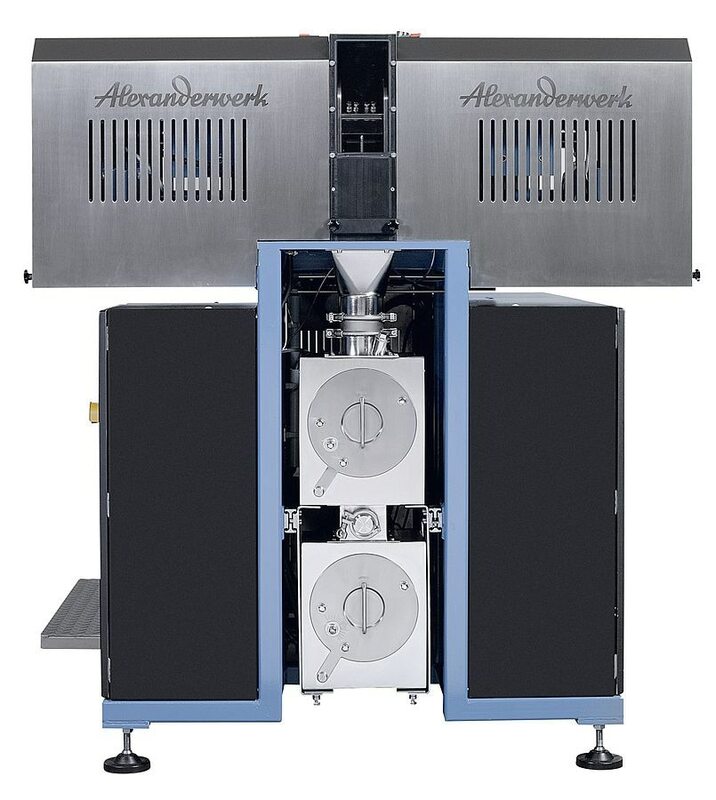 As the smallest Alexanderwerk model for the chemical sector it provides a roller diameter of 150 mm and a roller width of 75 mm. 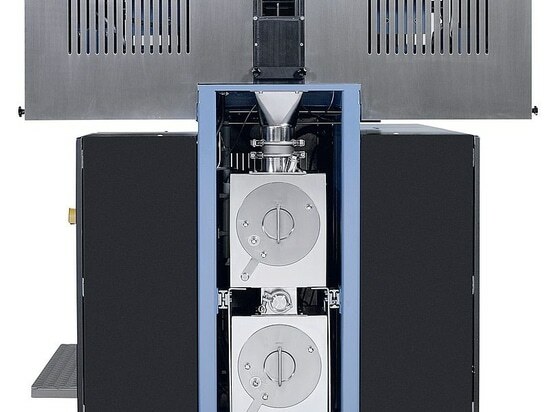 With a throughput up to 400 kg/h the PP 150 C can be used in a test center, for the research and development as well as for the production. Through the double sided bearing of the rollers and a robust construction a maximum pressure force of 30kN/cm can be assured. Moreover, previously determined process parameters can easily be scaled up to larger production machines of the Alexanderwerk PP and WP machine series. 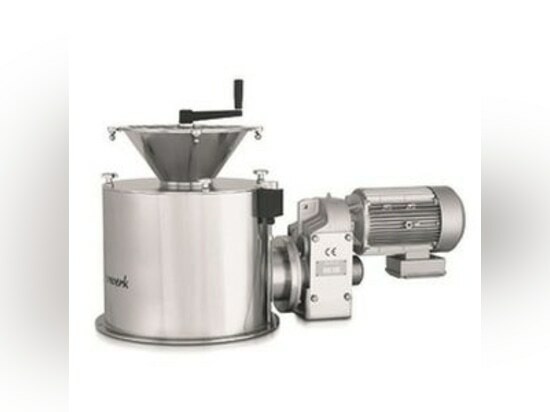 Because of its modular design, great flexibility as well as adaptability to different granule sizes is guaranteed. 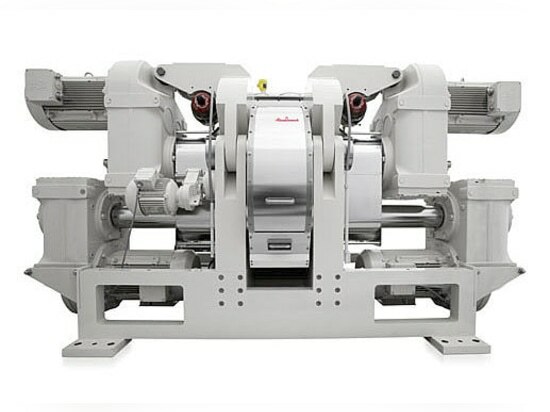 The basic machine, consisting of feed system and compaction rollers, can be provided either without a crushing step, with a single rotor fine granulator RFG 150 DS or with two rotor fine granulators RFG 150 DS. If required, a later upgrade is possible at any time. To ensure a compact design, the control system, control cabinet including hydraulics, vacuum pump, cooling water and air distribution system as well as the interface are all integrated into the machine. 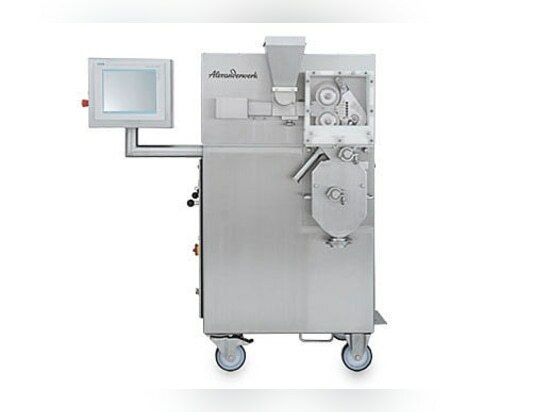 The RFG 150 DS is designed by Alexanderwerk to meet the requirements and standards in the pharmaceutical, chemical and primary industry and is made for granulation of dry or slightly moist substances. 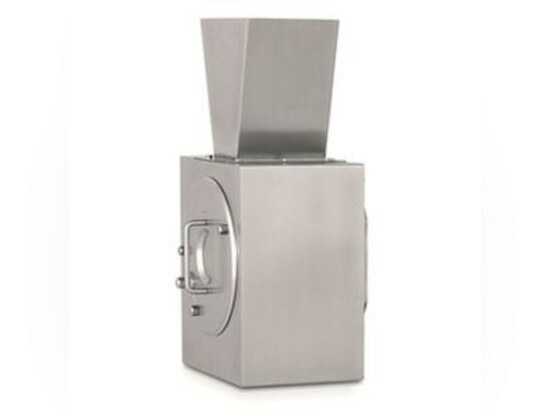 The PGS 300 T is designed to meet the requirements and standards in the pharmaceutical, chemical and primary industry and is made for grating, shredding, crushing, desaglomerating, granulating of solid dry or humid substances. Depending on the raw material and grating or shredding cylinder, the throughput can be as high as 1,000 kg/h. Grating and shredding cylinder with bores are available to achieve different granule geometries. Moreover, the mobile design provides great flexibility during granulation and allows an easy maintenance.